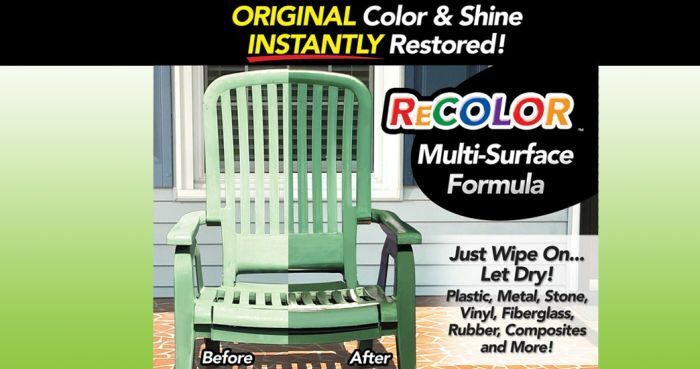 Start by giving your outdoor grill a good cleaning. Many people first start the grill up and let it run on high heat until all of the food is burned off of the grill plate. Then take a wire grill brush and scrape all of the leftover food off of the grill surface and get things nice and clean while the grill is hot (make sure to use gloves!). After the grill has cooled, you can use soapy water to help with the cleaning process or you can even use oven cleaner to help with the tough spots. Make sure you thoroughly rinse the grill grates off with water to remove any soap residue. Wipe down the outside of the grill with a damp cloth. Take an old rag and a bucket of hot soapy water and clean every surface of the grill including the tank and all hoses. You can even clean and wipe down the inside of the lid where all of that carbon build up exists. 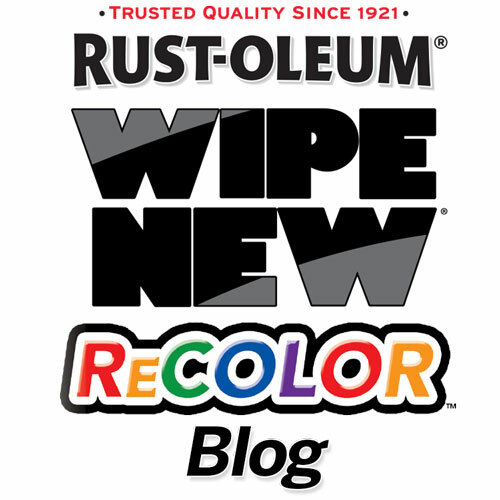 Once the outside of your grill is dry use some Rust-Oleum ReColor by Wipe New to bring back the shine and to help protect your grill from the elements. Shut off the gas at the LP tank and unfasten the burner, slip the gas tubes off the gas lines, and lift out the unit as a whole. 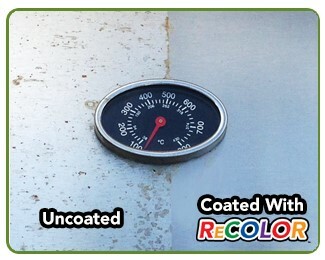 Coat the burners with cooking oil to repel moisture that can build up over the winter and to prevent rust. Wrap the burner unit in a plastic bag to keep spiders and insects from nesting in the gas tubes during the winter. 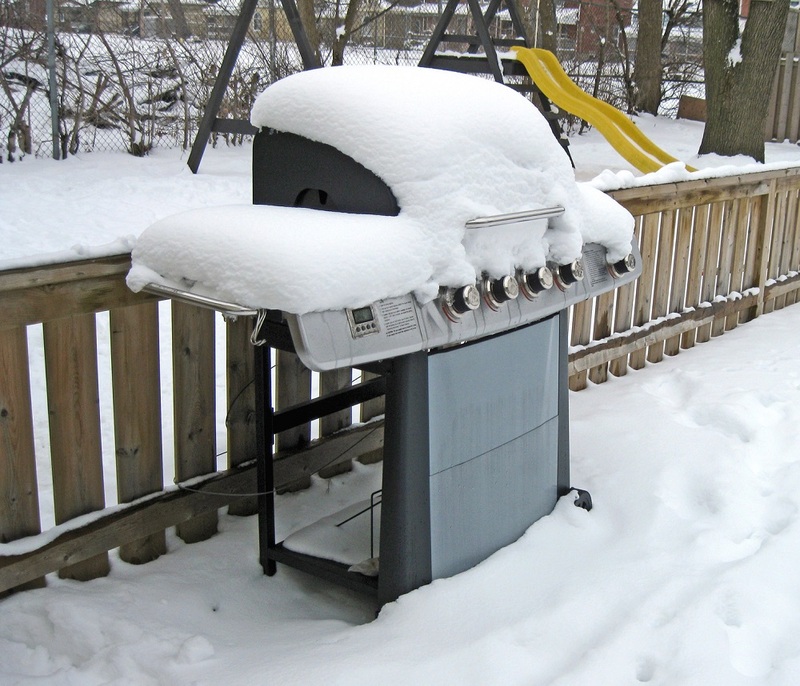 Purchase a good grill cover to keep the dirt, rain, and snow from accumulating on the grill. If you are using a grill cover from last year, make sure that it is still in good condition and has no tears or holes. Make sure your grill and cover is completely dry before storing them. If possible, store your grill inside in a dry location away from the elements.